Encontre o seu imóvel na Florida com a Newimob. 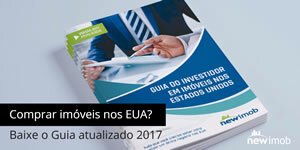 Busca em tempo real com imóveis para investimento nos EUA. Foreclosure-Not short sale. Priced to sell-Now! Great starter home or invester money maker. Addendum required at time of accepted offer. GREAT INVESTMENT OPPORTUNITY. LOCATED IN THE HEART OF FLORIDA CITY. PROPERTY HAS TWO BEDROOMS AND 1 BATHROOM ON A QUIET CUL-DE-SAC. LARGE PATIO. Bank of America, N.A. employees and employees&apos; household members of the Bank are prohibited from purchasing th is property, whether directly or indirectly. Excellent location this is property is centrally located very close to main street, parks, Shopping Centers and more, 2 bedrooms and 1 bathroom with nice lot size and fence. Exceptional value for this cozy 2 bedroom, 1 bathroom single family home in Homestead. Great for an investment or starter home. Upgraded kitchen with granite countertops, backsplash tile and beautiful wood cabinetry. Tile throughout. Patio with covere d porch. Spacious fenced yard in quiet neighborhood. Close to grocery stores, banks, Turnpike and US1. Easy to show. You will love the screened patio! Delightful 2/2 with split bedroom. Inside utility, carpet. Men will love the workshop/shed with electricity. Close to common area & community pool. On cul-de-sac. 3/2, 1 story Townhouse in need of repairs. $$Great investment opportunity$$ Buyer agress to pay Century 21 Towne & Country a process and handling fee of $395.00 at time of closing. 2/2 manufacture home in Gateway East. Cash only. Foreclosed property. As is. Easy to show. Community is gated, community pool, lakes. Easy drive to Key Largo, close to US 1 and turnpike on ramp to Miami. Would be a great weekender or winter retreat. Quaint and Cozy corner 2/1 in Florida City! Great investment opportunity ! Tiled throughout, needs renovation. Corporate owned being sold AS IS with right to inspect. Expired plumbing permit exists/seller will not cure prior to closing/buyer to assume. Mu ltiple offer situation with highest and best offers due on 03/10/14. Refer to MLS attachments that are needed signed with offers. Cash offers to have 10% and proof of funds. Great 3/1 Fannie Mae home for sale. Purchase this property with as little as 3% down! This property is approved for Renovation Mortgage Financing. For more info on HomePath call listing agent or visit them on the web. To submit offer use contract attached , please inlcude a pre-qualification letter with your offer. For more info or to show property simply click on "REQUEST SHOWING" link. 2/2 Mobile Home Located in Gateway Estates. Just 15 minutes from FL. Keys. Southern comfort! Large screened porch welcomes you. 2/2 with split bedrooms. Large living area. Laminate floors throughout. Existing furniture stays. Come look and you will love it! Shed. 2 screened porches. Beautiful home is great condition, located in the quiet community of Gateway West. This is a 55+ community, property is locate on cul-de-sac. Features laminate floors, all appliances, screened-in porch and more. Please see attachments to submit offers.